The word on the street is that only a couple of 400 H.O. 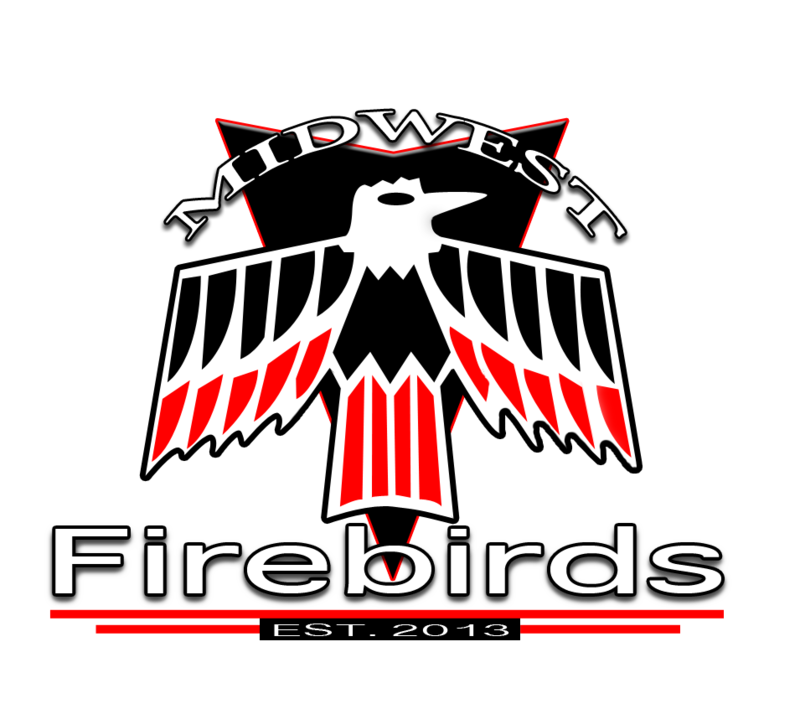 Firebirds found their way to Europe in 1968. Just as unique is the story of the one presented here, as history is known back to the day the original order was placed for the car at Werkhof-Garage AG in Bellach, Switzerland. Beside that it is worth considering how this story was shaped by the first owner Engelbert Möll. Today’s Swiss Motorsports Wall of Famer Engelbert Möll was born in a family that was into the automobile business. His father was running the above-mentioned Opel and Oldsmobile/Pontiac dealership in Bellach, a sleepy village near the GM assembly plant. Before he took the helm of his father’s old-established company, the son was a successful racing driver, winning numerous trophies with his AC Bristol in the Swiss Championship. His talent did not remain unnoticed when he attracted the attention of the legendary Italian car tuning specialist Carlo Abarth. Subsequently the 28-year-old Swiss became a works driver for the Abarth Racing Team and could quickly celebrate his first international race successes. But only a short time later, in July 1963, his promising racing career took a tragic turn when he got into a terrible accident at the Solitude race track near Stuttgart, Germany. Engelbert Möll spent several months in a hospital to recover from multiple, major injuries he had suffered. Afterwards, he underwent a longer rehabilitation program where he got assessed for walking devices he would have to use henceforth. After all he had gone through it is most remarkable that Engelbert Möll planned to continue his motor sport activities. Due to some reduced mobility, he was first denied the renewal of his national racing license. To prove his physical fitness he passed a series of extensive aeromedical examinations. In fact, thanks to his iron will and energy he got the license back under one condition — driving automatics only. As might be expected he found those automatics among the great muscle cars of the GM “excitement” division he had for display in the showroom of his dealership. 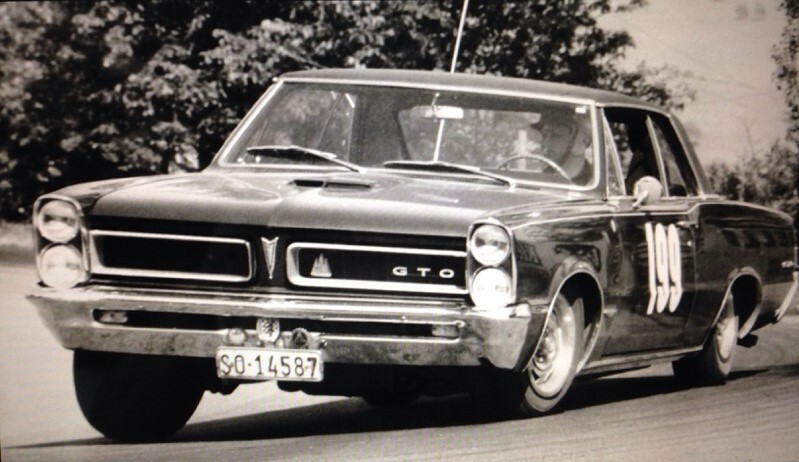 A brand new 1965 Tri-Power Pontiac GTO automatic served him in doing the very first driving workouts. He re-entered the Swiss Championship in July 1966 on the occasion of a hill climb race where he drove the legendary “Tiger” to victory in his class. 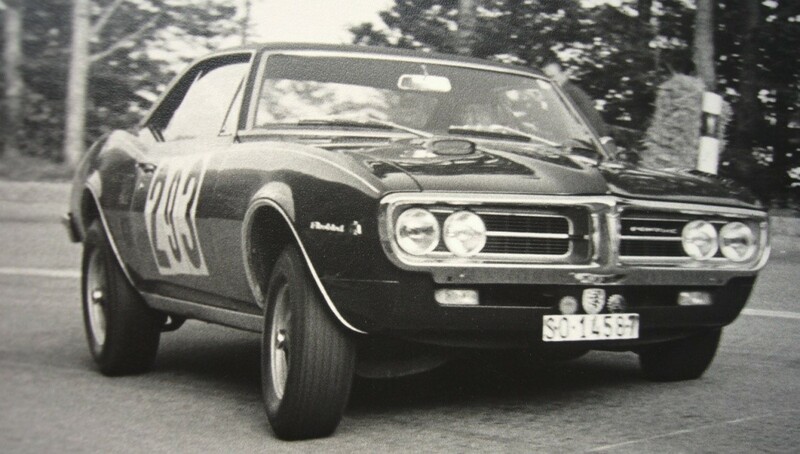 1966 season of the Swiss Championship in a ‘65 Pontiac GTO. 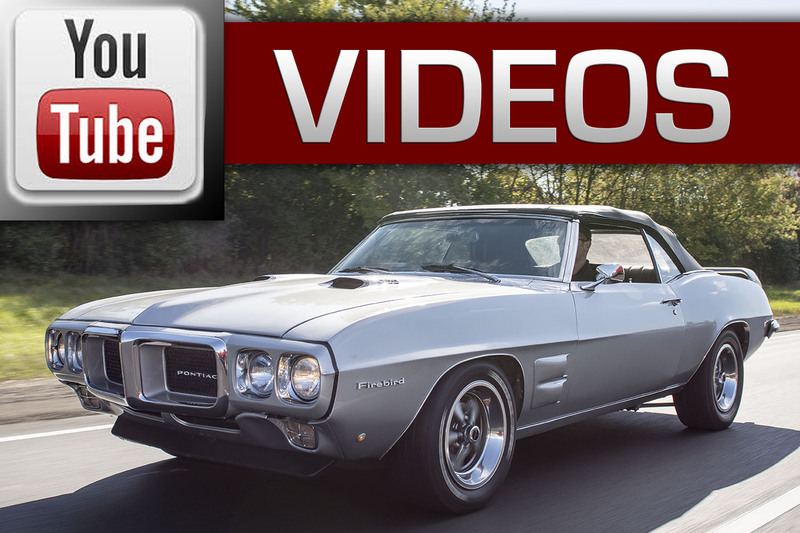 In March 1967 the Firebird made its debut for the European market at the Geneva motor show in Switzerland. The new F-Body was lighter and promised a better handling than a GTO. 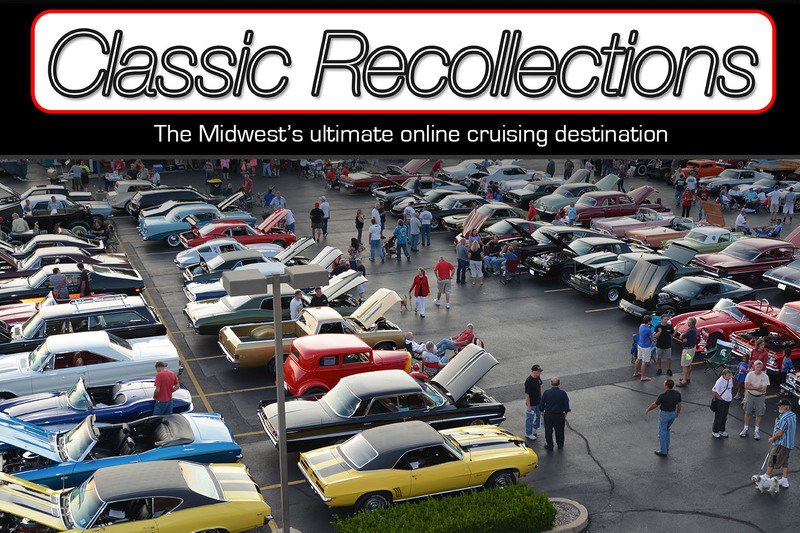 Moreover, performance enthusiasts instantly saw through the simple trick with the tab on the carburetor linkage, reducing maximum horsepower (compared to the GTO) with the top of the line engine. 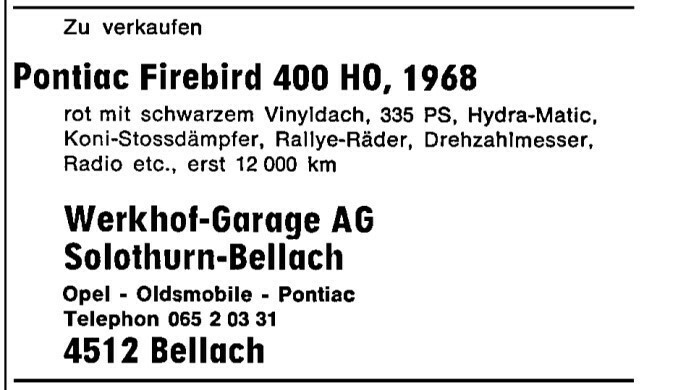 It is not surprising that the Swiss was among the first on the old continent to order a Firebird 400 automatic for the competitive season ahead. 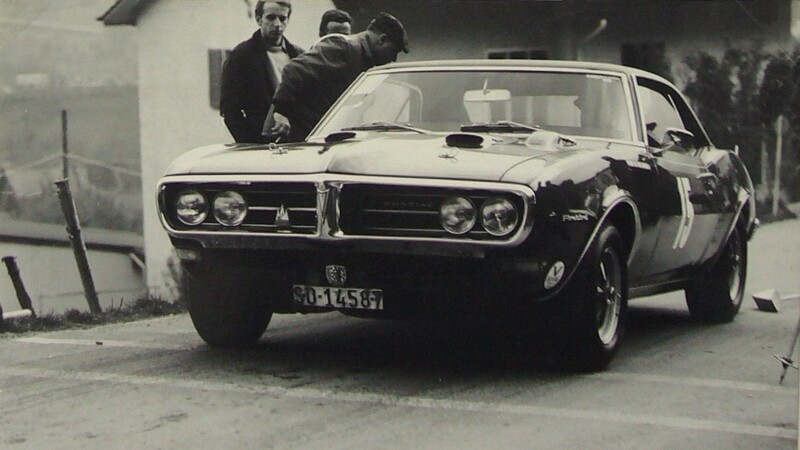 1967 season of the Swiss Championship in a ‘67 Pontiac Firebird 400. Again in early 1968, now at the climax of his colorful career, Engelbert Möll scouted for the best suitable Pontiac racer. 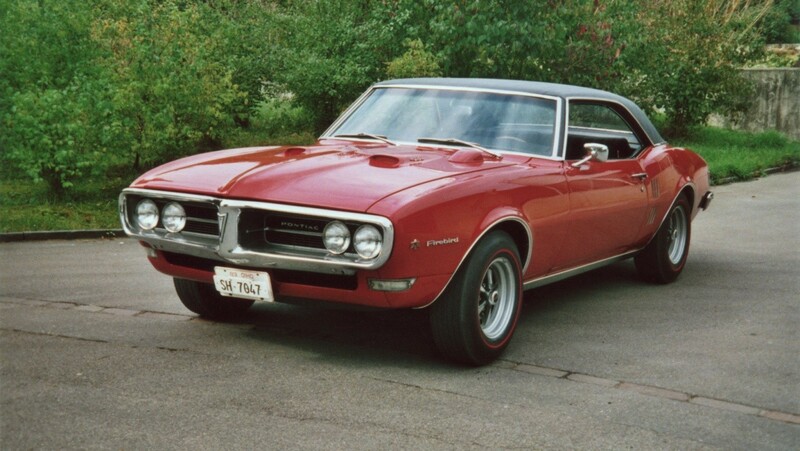 It was to be the Firebird 400 H.O. automatic discussed here. Many will wonder why he did not opt for the desirable Ram Air I with a Turbo Hydra-Matic. Even more when we know that one of the 92 Ram Air I automatics left the factory within the same day shift as his 400 H.O.! We can explain it in just one sentence: the ultra rare Ram Air cars must have been banned from export to Europe. This is confirmed by his own words when the racing driver told me „I had ordered through GM Switzerland the most powerful Firebird possible approved for export”. Yes, it credits to the irony of fate that a former Abarth Works driver raced Pontiac muscle cars, what he never would have done under normal circumstances. 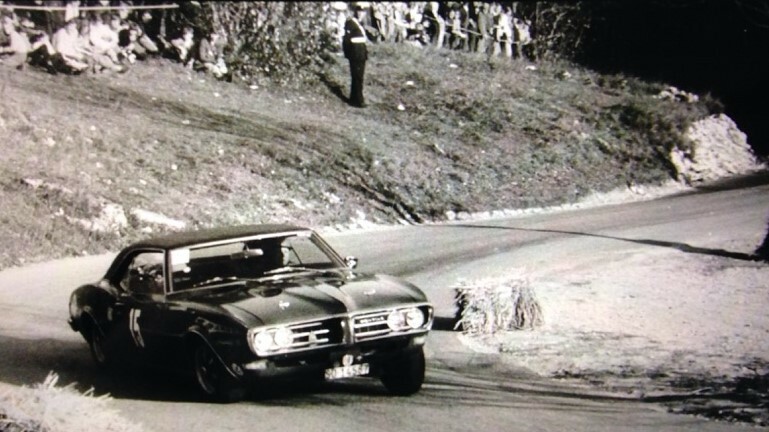 1968 season of the Swiss Championship in a ‘68 Pontiac Firebird 400 H.O. 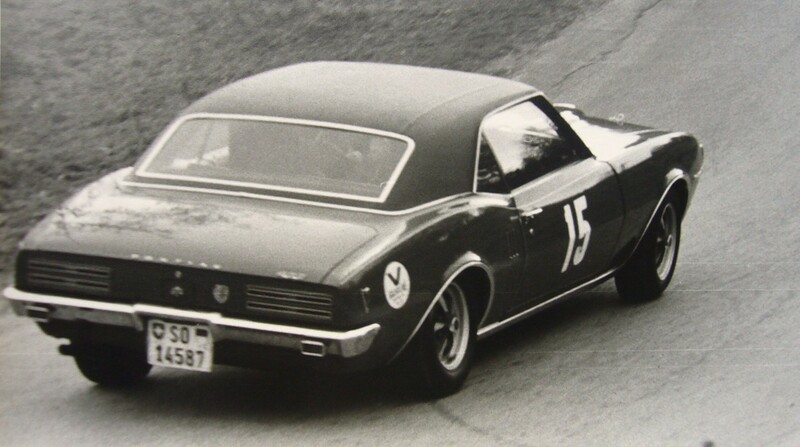 GM had not homologated the Firebird for Touring Car races, which was reserved to the Camaro sibling. But can we imagine that a Pontiac dealer would have driven a Chevy? 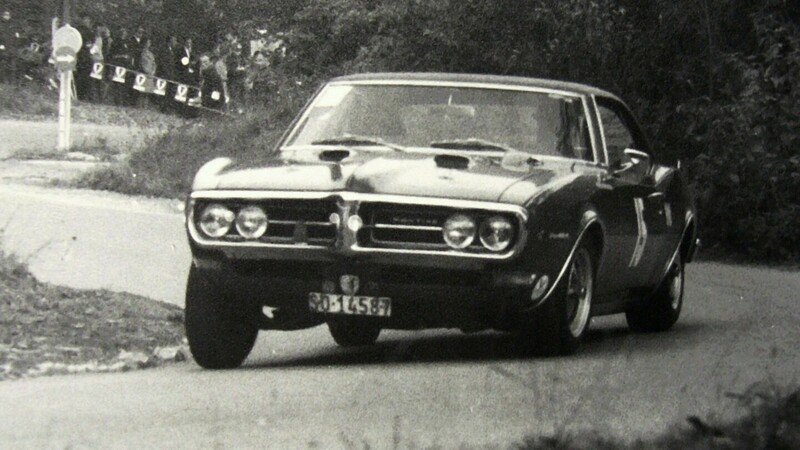 Consequently the Swiss had to race the Firebird in the “open” class of Sports Cars against superior European competitors. 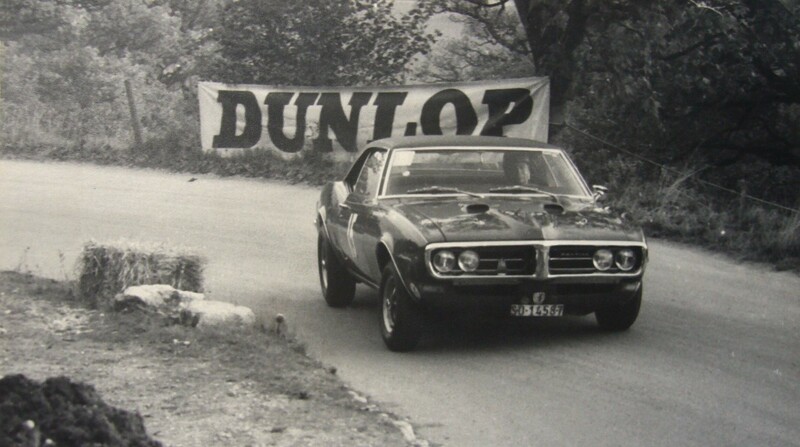 That is the main reason why Engelbert Möll and his Firebird remained a unique spot in the Swiss and probably European motor sport history. The first run with the fresh-out-of-the-box muscle Poncho took place on May 12, 1968 on a military airfield circuit just nine days after the vehicle had been registered. The last race after 7’500 driven miles was fought out at an uphill track on October 27, 1968 (pictures below). We know that twisty slalom courses were not the domain of American muscle cars of those days… Nevertheless, Engelbert Möll was a stubborn opponent. It is hard to wrap your head around that, but he was able to beat some Ferrari GTB/4 and E-Type on hill climb races with his automatic! That proved him a more than capable racer. #15 (E. Möll) right before the start at the National Hill Climb Course Les Prés-d’Orvin. Winner “Sports Cars over 2,000 cc” at an average speed of 63.9 mph. It goes without saying that the Swiss Racer was loaded with all the right stuff for competition, including Rally Gauges, Hood Tachometer, Power Disk Brakes, Saf-T-Track limited-slip rear axle, variable-ratio Power Steering, Ride and Handling Package and adjustable Koni Shocks. Yet, most of the time the 400 H.O. was just enjoyed as a boulevard cruiser. The Firebird had to meet the desires of a businessman with a whole host of convenience equipment like Power Windows, Tilt Sports Steering Wheel, Console with Clock, Folding Rear Seat, Rear Window Defogger and some more. But other than that, why was it kind of a radio delete car? A high-end Blaupunkt radio with European FM-frequencies was installed once the car was in Switzerland. 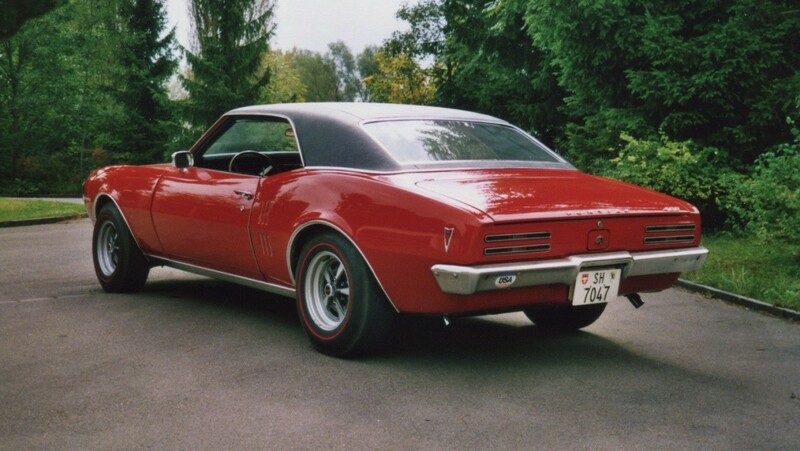 Engelbert Möll had a preference for red Pontiacs with a black Cordova top, he also loved the white pinstripes he got from the factory on his GTO (and did not on the Firebird) so much, that he had the 400 H.O. custom pinstriped. Beside that unique visual feature some deviations from stock were necessary for racing purposes. 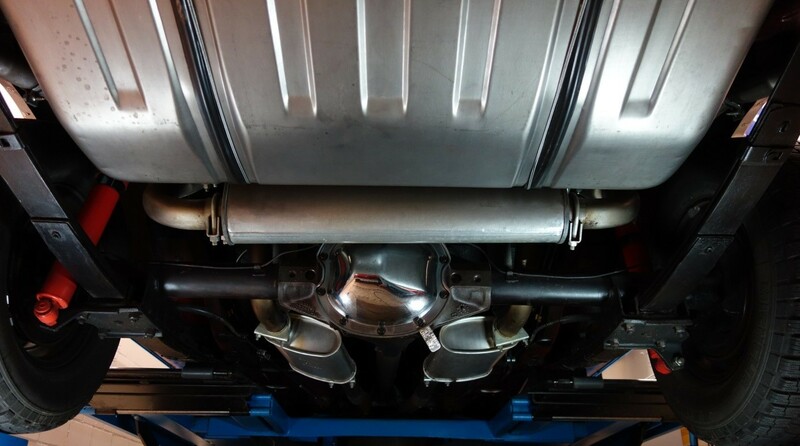 At Werkhof Garage AG his dealership mechanics replaced the Firestone F70 red-line tires with racing radials, mounted a pair of glasspack mufflers and – after the hood had sprung open in the first trainings – added hood pins. 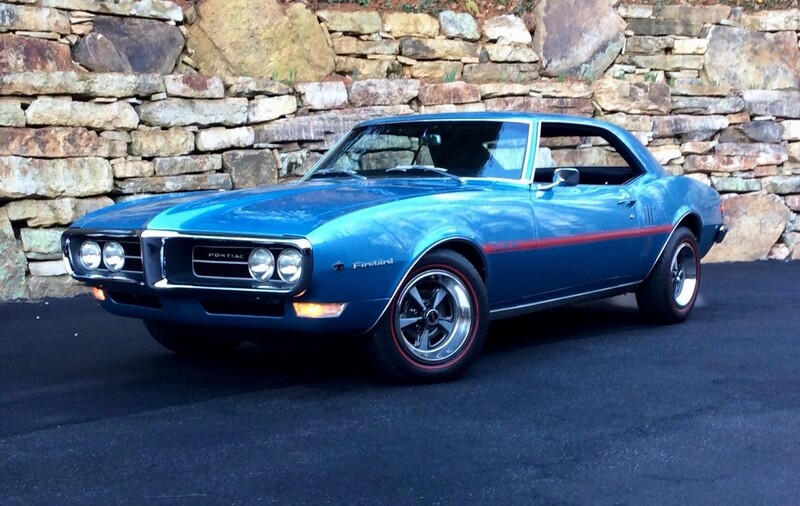 Now, what makes me proud is not just to own this 400 H.O., but really that I could give history back to a great Firebird. Let me do that second part of the story in the next section. 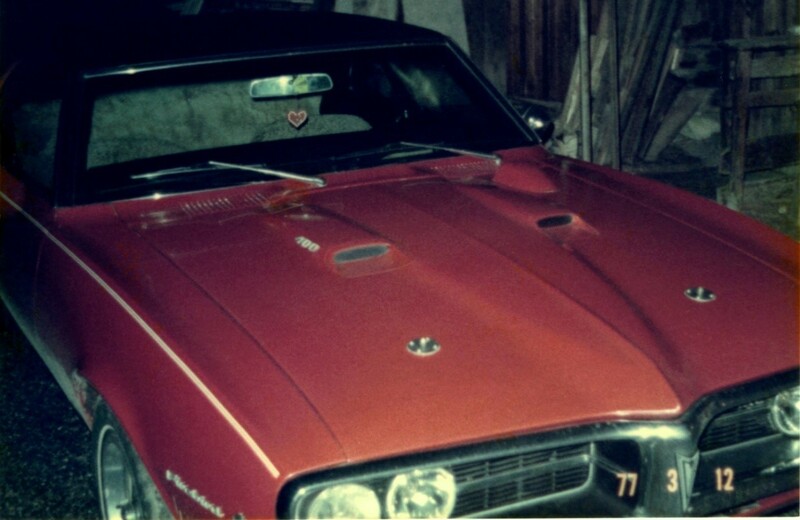 Sitting inside a barn in the late seventies, a proud history was long forgotten Custom pinstripes and hood pins are unique to the “Möll” Firebird. Yes, it was one of those happy coincidences that made me an owner of a H.O. I had never searched for! 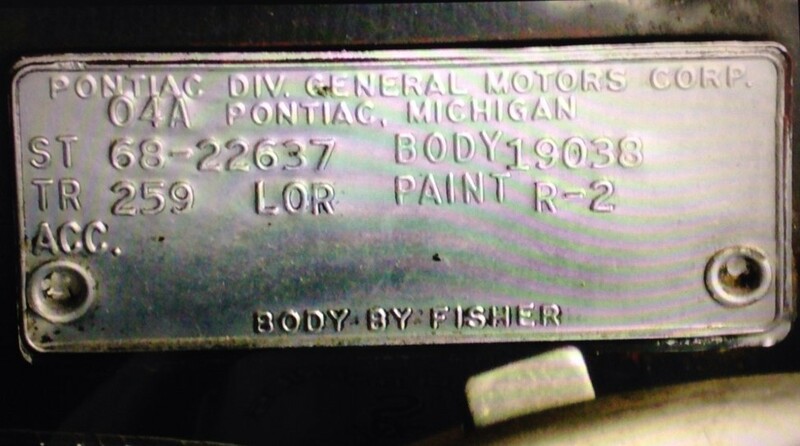 Also, when I got my Firebird home in April 1996, I had no idea of her past. Genuinely passionate about research I started immediately to track the history back. I did what every Swiss holder of a car would do first: I requested data concerning previous owners from the Swiss Federal Roads Office. Oh, I was disappointed so badly to learn that my Firebird had changed hands 14+ times over the decades! Moreover, data records reached back only to the year 1974. Therefore the original owner remained in the dark. After all, the district where the car had been first registered May 3, 1968 was written down. This fact let me hope that the Firebird once stood in a showroom of whatsoever Pontiac dealership around that county. But would they keep records of a car sold 28 years before? One of the dealerships I located and asked this very question by letter was the Werkhof-Garage AG. Their answer brought much more joy I had ever dreamed possible! The owner of the dealership personally wrote back “We regret to inform you, that we have recently cleared our archives and do not longer have any old car invoices. 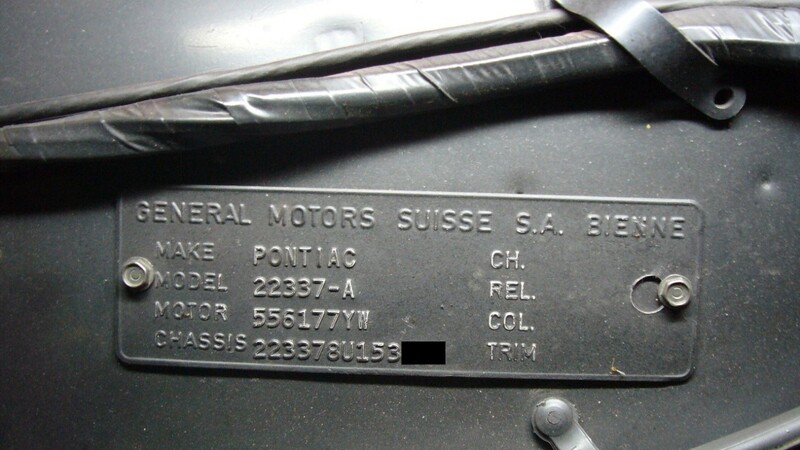 However we can inform you that according to our remaining sold car records, Firebird VIN 223378U153XXX asked for has been registered new by the signee [Engelbert Möll]”. My incredulity went to a whole new level when I learned about the races he had participated with that car. It might seem like a once-in-a-lifetime coup having found one 400 H.O. racer out of a series of 2099 cars built. “Wagenbuch”: The only book containing records to identify first ownership of VIN 223378U153XXX is considered lost since the dealership has changed hands in 2003, after retirement of Engelbert Möll. In mid-November 1968 she had fulfilled her mission and was for sale, owner #2 is unknown. With the most important milestone of my research being done, I got some interesting documents for my Firebird including a bunch of vintage racing pictures. I figured out what was left to do was not so easy: tracing 25 years of history dispersed amongst so many owners. Indeed, their feedback was not overwhelming. But good luck again: I succeeded to locate a guy who had the Firebird in the mid-to-late seventies and was the last owner to see her in untouched original condition. Also that keeper proofed to be a key for understanding the mysteries that had happened to the car in the coming decade. When I look at the history of my 400 H.O. in retrospect, the eighties were a really dark time when the racer was in hands of some young customize junkies. But it literally survived that crazy scene and once in my possession the odyssey was over. Finally in 2002 the Firebird had been restored to its previous glory. The restoration process started with the question if the Firebird should be brought back to factory specs or be a close match of the racing car it had been in the 1968 Swiss Championship. Indeed, some hidden traces of the racing history are still present today. But regrettably, most of the visible Swiss equipment has been lost over the years and is known from old pictures only. That’s why it was reasonable to choose the first variant. The main principles of my personal way to restore the car were as follows: (1) Beware original substance as far as possible, thereby patina is not an issue, (2) Replace any missing items or non OEM parts or parts beyond repair by used original or NOS parts, avoid reproduction items if at all possible. 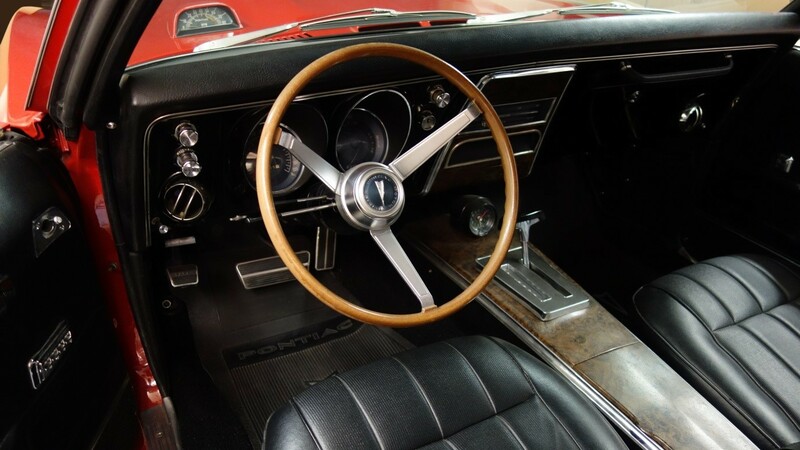 Pontiac advertising says: “it looks like wood, it feels like wood but it is no wood”. It is hardly believable that the original sports steering wheel survived customization of 14+ pre-owners. 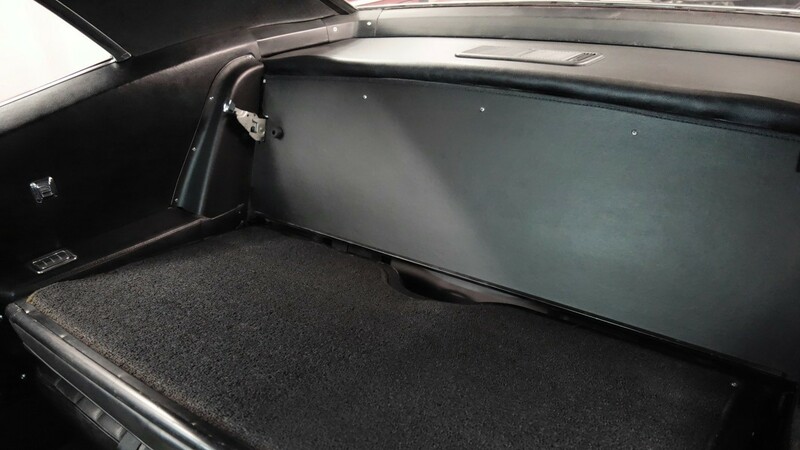 While drag racing Ram Airs were often special ordered with bench seat for less weight, some additional pounds with a folding rear seat, defogger and power windows were not an issue here. 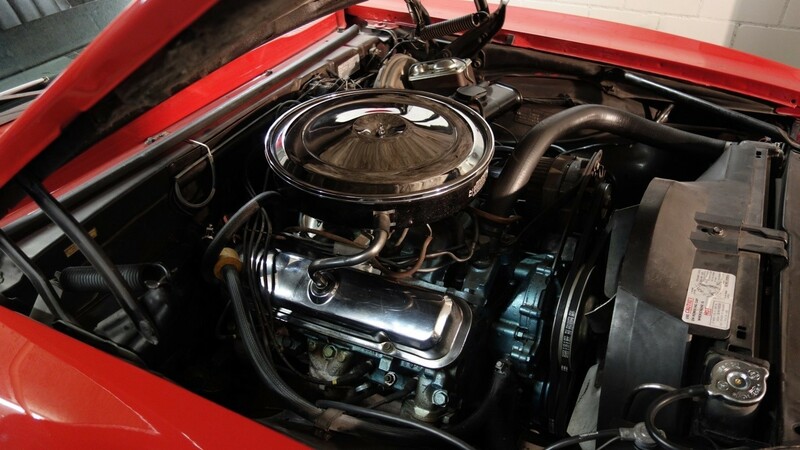 Engine is all original to the car with the exception of the carburetor, which is a 1968 date coded Rochester Quadrajet, correct for a ’69 Firebird 400 or 400 H.O. automatic. Original ZE limited slip rear axle was controlled by striking orange Koni Shocks. Cover in non-factory chrome finish has been preserved as a tribute to car’s history. By the way: if you browse for Engelbert Möll [or Moell] you will notice that his love to Abarth is unbroken. He owns one of the greatest and perhaps most prestigious Abarth collection worldwide. Two dozens of his cars were recently on show at the “Rétromobile 2018” in Paris.